Brown Boy, Beatles T-Shirt, buy here. These shirts are all fair-trade and made with organic cotton! So comfortable and sustainable! 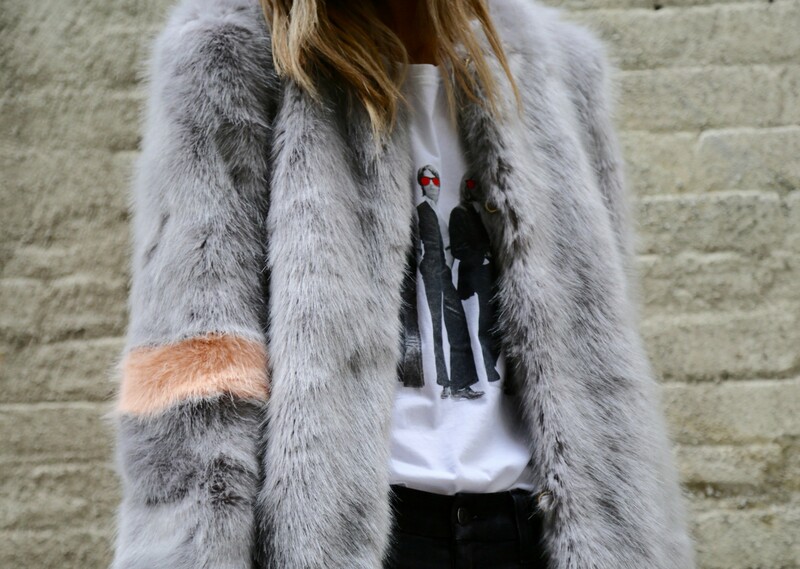 Shrimps, Ariel Faux Fur Coat, buy here. 7 For All Mankind, The High-Rise Skinny Jeans, buy here. Sam Edelman, Leopard Petty Boot, buy here. Figue, Floral Fringe Clutch, similar here.